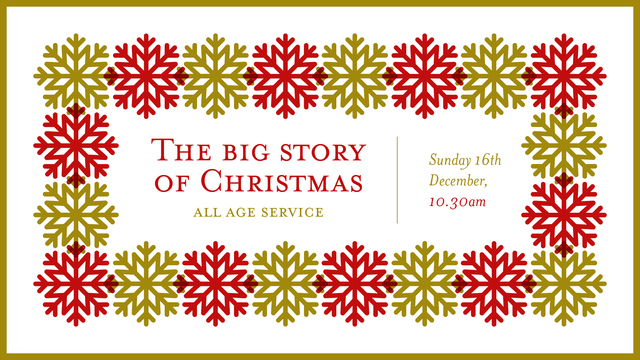 The Big Story of Christmas will be a great time for people of all ages to celebrate Christmas together. Instead of going to their separate meetings, kids will stay in this service, which promises to be loads of fun! Our amazing youth will also be a key part of this meeting. All welcome!